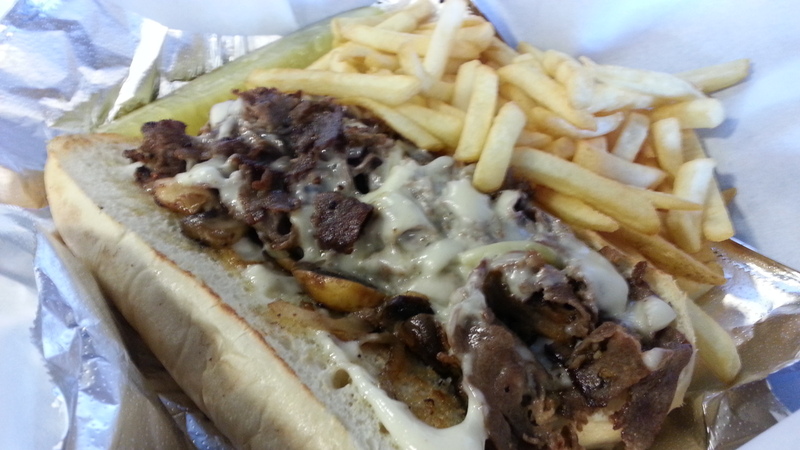 The cheese steak sandwich may have originated in Philly, but Nick’s Gyros has perfected it. 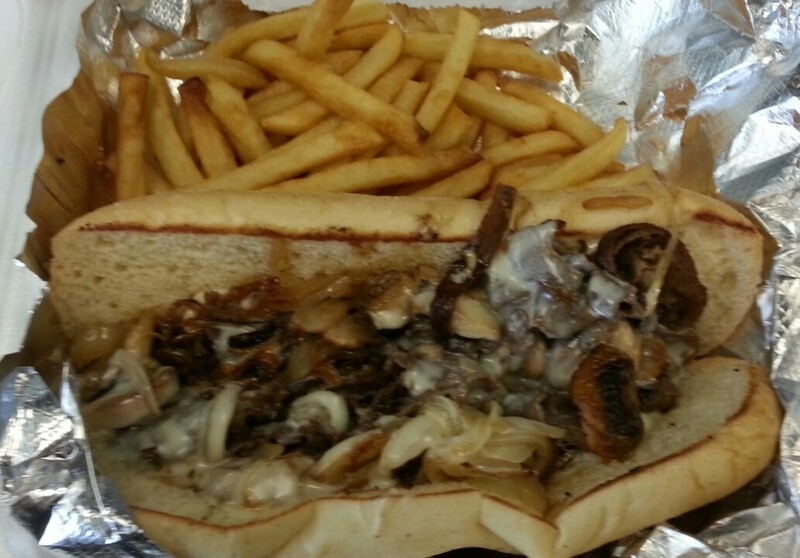 Marinated sirloin steak, grilled onions and mushrooms with melted swiss and mayo served on a freshly toasted hoagie bun. Fried up right in front of you by an ever efficient and friendly staff, this is just one of the many delights available at this local “Gyro Shop”.